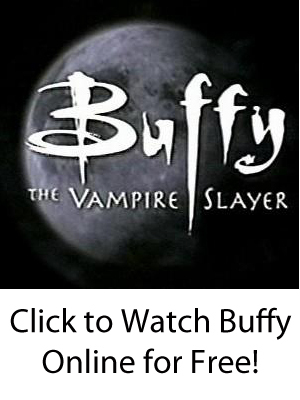 In Buffy, Tara Maclay is a college student who is shy and stutters but has magical ability and becomes the girlfriend of Willow Rosenberg for more than two years. Tara was the most moral, sympathetic, and nice member of the Scoobies because she always supported and never judged anyone — not even Buffy, when she was sleeping with Spike in a violent and perverted way during much of Season 6. She was killed by a stray bullet fired by Warren’s gun near the end of that season, prompting a depressed and angry Willow to almost destroy the world. Tara first meets Buffy, Willow, and everyone else in the middle of the fourth season in the famous episode “Hush.” She is a member of a Wicca group that the University of California at Sunnydale that Willow tries out. Tara and Willow leave the group because they do not want to do any spells, and the two begin practicing on their own. Eventually, they fall in love. At first, Willow kept Tara from her friends because she was nervous about “coming out of the closet” and wanted something that was “just hers,” but Tara was soon accepted in the group — most notably in the fifth-season episode family, when the Scoobies tell her hostile biological family that they are Tara’s real family. Throughout her time on the show, Tara and Willow used their powers in the fight against evil. In Season 6, Willow became addicted to using magic, and Tara broke up with her in an effort to save her. Eventually, they had just reconciled when Warren, an evil man who had wanted to kill Buffy, burst onto the scene and started firing bullets from a gun. One bullet hit Buffy, and another went through a window off the house and hit Tara in the heart, killing her instantly. Willow tried unsuccessfully to revive her, and then went on a rampage — killing Warren by flaying his skin magically and then pursuing his cohorts Jonathan and Andrew. Later, Willow tried to destroy the world out of grief, but Xander counseled her and saved the world.